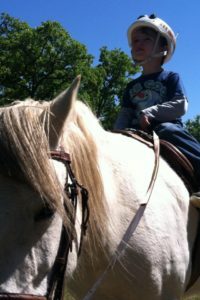 To enroll in Unbridled Horse Therapy please contact Shelly Turner at shelly@unbridledhorsetherapy.com for a client application. If you would like to come tour our facility we would love to show you around and answer any questions you may have. Tours of Unbridled are by appointment only. We pride ourselves on giving our clients our full attention during their session and want to be sure to allow you the same courtesy when showing you around the center. Please contact Shelly Turner at shelly@unbridledhorsetherapy.com to schedule an appointment at your earliest convenience. If you have any questions regarding scheduling a tour, the application or scheduling a session for your rider please email shelly@unbridledhorsetherapy.com with your questions or concerns and she will get back to you via email or phone as soon as possible.